Selective Laser Sintering (SLS) technology is at the heart of a growing trend in mass custom manufacturing as well as functional prototyping. The right additive technologies, materials and finishes are transforming manufacturing. 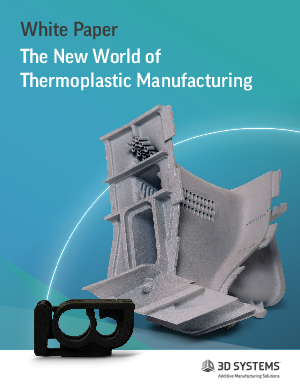 Digital-direct thermoplastic manufacturing offers exceptional quality while opening the door to novel design parameters not possible with injection molding. Thermoplastic additive manufacturing also bypasses the long lead time and up-front investment in injection molding tooling. If you measure your finished parts on the three dimensions: quality, time to market, and cost per cubic inch, in many situations industrial SLS offers a better total value proposition. Download this whitepaper today to learn more.